PURCHASE, N.Y, Mar. 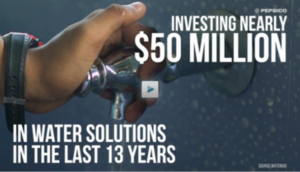 22 /CSRwire/ - PepsiCo announced today that it has helped more than 22 million people in underserved communities around the world gain access to safe water since 2006. In the last year alone, PepsiCo and its partners expanded access for more than 6 million people, indicating the company is on track to exceed its goal to support a total of 25 million people with safe water access by 2025.